Checkout this new collabo from King98 – No Bad Vibes ft. Davido. 21-year-old Zimbabwean brought into the world hip-jump star King98 enrolls afro-pop star Davido for “No Bad Vibes”. The South African based artist who is propelled by worldwide sounds, is set to drop his presentation LP entitled “Francesca” on the 27th of April 2019 with a huge show including Davido, Nadia Nakai, Nasty C and more. The song “No Bad Vibes” which is as of now a raving success in southern Africa drives King98’s introduction set and ushers the world to the youthful star. 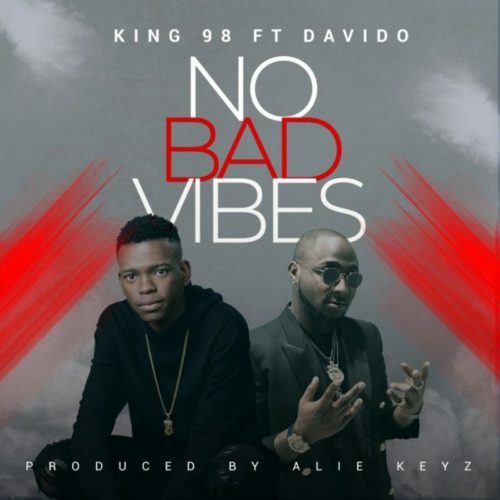 Listen, watch and download King98 – No Bad Vibes ft. Davido below.